A list of awesome Team Fortress 2 sites, tools, resources and more! If you have a TF2 link to add, please drop a message in the comments below. Tip of the Hats – US based charity livestream event benefiting One Step Camp. Blapature Co – EU-based charity livestream hosted by a group of TF2 YouTubers. FuckYeahTF2 – Tumblr for everything and anything TF2-related, namely artwork showcases. KritzKast – THE Team Fortress 2 Podcast, hosted every Saturday by Agro. Teamwork.TF – Community Quickplay, Jarate Pages, news and stats about Team Fortress 2.
r/TF2 – Subreddit dedicated to any and all Team Fortress 2 content; news, jokes, discussions. Essentials.TF – Competitive and community news aggregator. Comp.tf – Community maintained wiki for the global TF2’s eSports scene. ETF2L – European league, for Highlander and 6v6. Home of the Nations Cup Tournaments. Team Fortress TV – Competitive TF2 news, events, discussions, streams, stats and more! UGC League – Worldwide League, primarily catering to North American Highlander and 6v6. RGL – Prolander (7v7) League for NA, EU and AU. Also NA Highlander league. ESEA – Paid NA league dedicated to providing the highest level 6v6 competition. TF2 Pro League – Powered by FACEIT, this 6v6 league looks to provide competition for all skill levels. KritzKast – Streams competitive 6v6, Highlander, Prolander matches from EU and rest of world. TFLIVEtv – Streams competitive 6v6 for Australia’s ozfortress. Team Fortress TV – Streams 6v6 for North American and European leagues. CappingTV – Streams Oceania/Asia 6v6 and Highlander matches from various leagues. CFG.TF – Open-source hub dedicated to generating custom Team Fortress 2 configurations. GameBanana – Treasure trove of mods including custom skins, maps, UIs, models and animations. HUDS.TF – A repository of community developed custom HUDs and hitsounds. TF2Maps – Dedicated community for TF2 level design, mapping resource, tutorials and 72-Hour Jams! 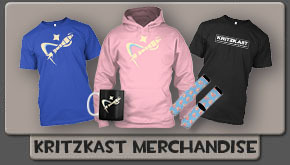 Merchandise – WeLoveFine’s official store selling original and community submitted items. Team Fortress 2 Blog – Development team’s blog and host for TF2’s comics and update history. Team Fortress 2 Wiki – All encompassing resource for the entire Team Fortress series. 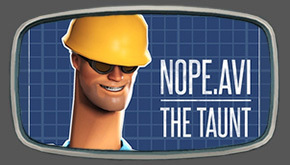 Team Fortress 2 YouTube – Home of Valve Software’s “Meet the Team” videos. Team Fortress 2 Twitter – Emergency resource for posting updates. Steam Community Market – Buy and sell items with other Steam community members. Steam Workshop – Submit new in-game items for Valve’s consideration, and view others’ works. Source Games’ Issues – Bug reports and feature requests tracker for TF2 and the Source Engine. Marketplace.TF – Securely buy and sell TF2 items with cash. No trade holds or hidden fees. Scrap.TF – Home to automated Steam trading, scrap/hat banking, raffles and more! STN Trading – buy and sell items “For the discerning gentleperson”. Backpack.TF – Crowd-sourced pricelist, keeping track of user’s backpack values and much more! SteamRep – An invaluable trading tool that lets you check if a potential trader is a scammer. CastingEssentials – A plugin that enhances the viewing experience of both casters and viewers. Loadout.TF – A web-app that lets you create custom loadouts without restrictions. VTFEdit – For creating Valve Texture Format (VTF) files, used as textures or sprays in-game. GCFScape – An app that can open and extract Source Engine content packed as .gcf and .vpk files. Modelling resources and Tutorials – Created by Pogo for KritzKast. Twitch – Team Fortress 2 streams on Twitch. YouTube – Filtered by most recent content. TFCL, an up-and-coming TF2 Pro League. STN is so underappreciated! Scrap.tf is not always the most reliable resource. STN’s queues are always short, and they have items when nobody else does. I’m secretly hoping it doesn’t blow up like Scrap.tf. You should add Blapature Co. to the annual charity events section. You should also remove OutpostTF2 as it isn’t used anymore/it was taken down. And remove TF2 Outpost as it was retired and is no longer used.